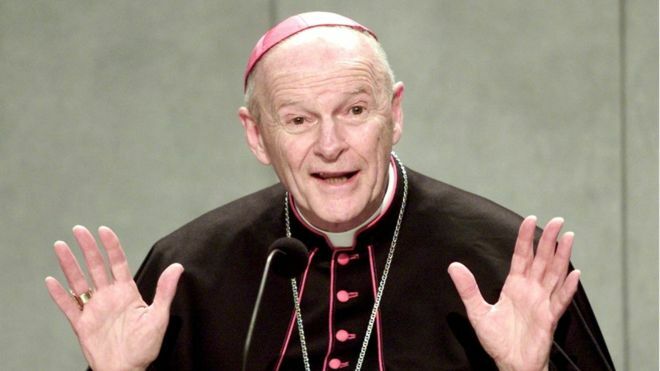 JT IRREGULARS: "Cardinal McCarrick, prominent US Catholic, resigns over abuse claims"
"Cardinal McCarrick, prominent US Catholic, resigns over abuse claims"
Sometimes I'm ashamed that I ever was a Catholic. Vatican nuns are coming out now with horror stories of abuse by cardinals. The Catholic Church is a hiding place for perverts. And his hands.... kinda like on the position of "JUST TRUST US"